The countdown to Thanksgiving Day has begun! Did I mention it is my favorite holiday of all time? 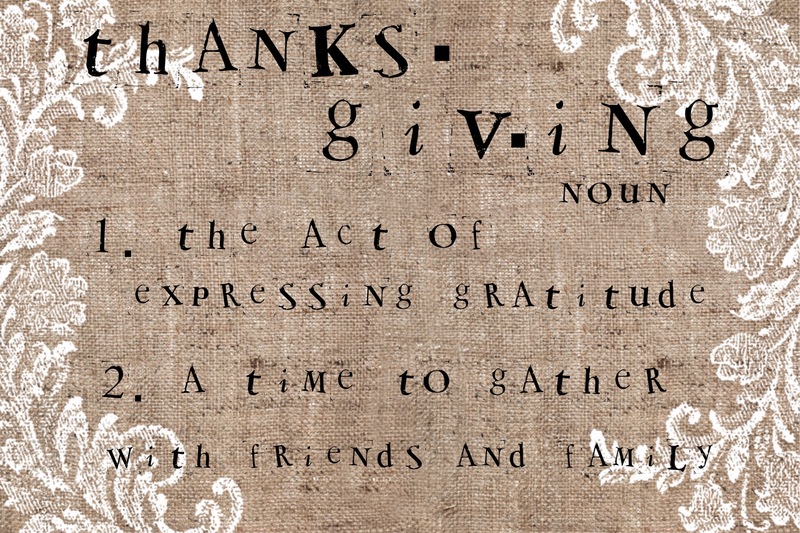 I love the idea of dedicating a day to gratitude and thanks. It’s been a rainy day, so I put on some Christmas tunes and started making some eco friendly Thanksgiving decorations. A plate of thanksgiving. 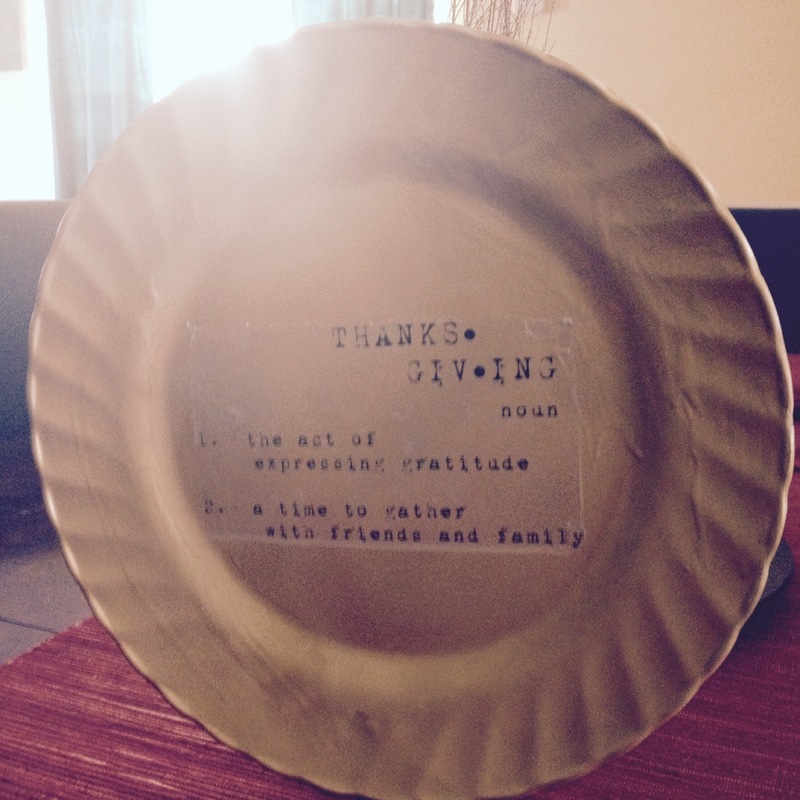 I spray painted a plastic plate, which I picked up from the dollar aisle at Foster’s Food Fair. I printed out my thanksgiving message which came from a Pinterest inspired project, my bestie Michelle sent me. Follow the directions for some transfer paper, with a sticky adhesive. Voila! 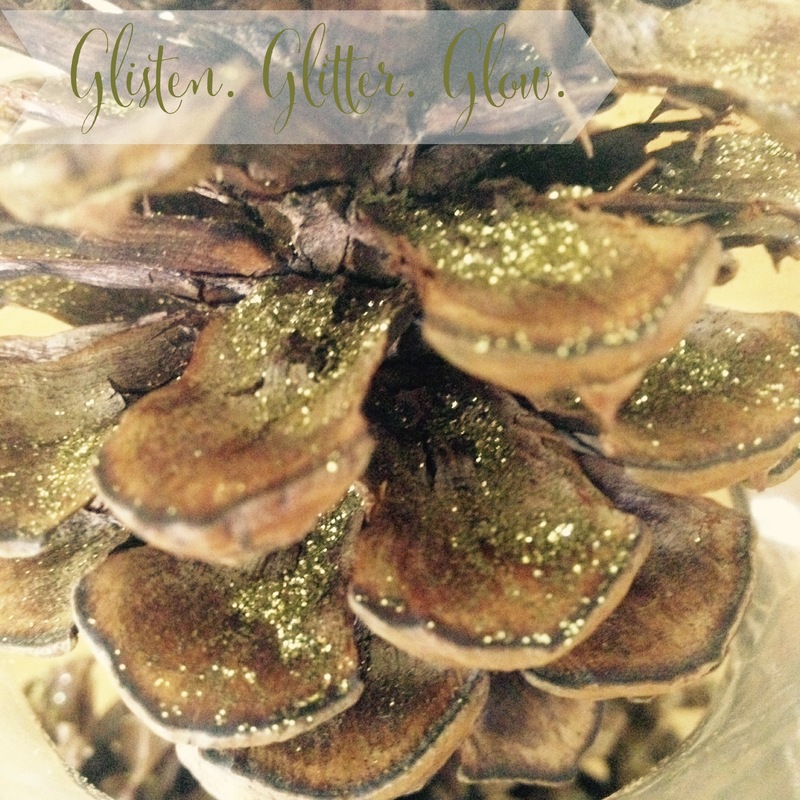 An easy way to repurpose and reuse pine cones for both Thanksgiving and Christmas, is to sprinkle some glitter on to add a little sparkle. The pine cones were placed in a glass jar, for display and then glitter was added. After the holidays, the glitter will be easy to pour out and store for future use. I have fallen in love with LED lights, battery operated style! The are just awesome! A simple and easy to make decoration, great for both Thanksgiving Day and Christmas. 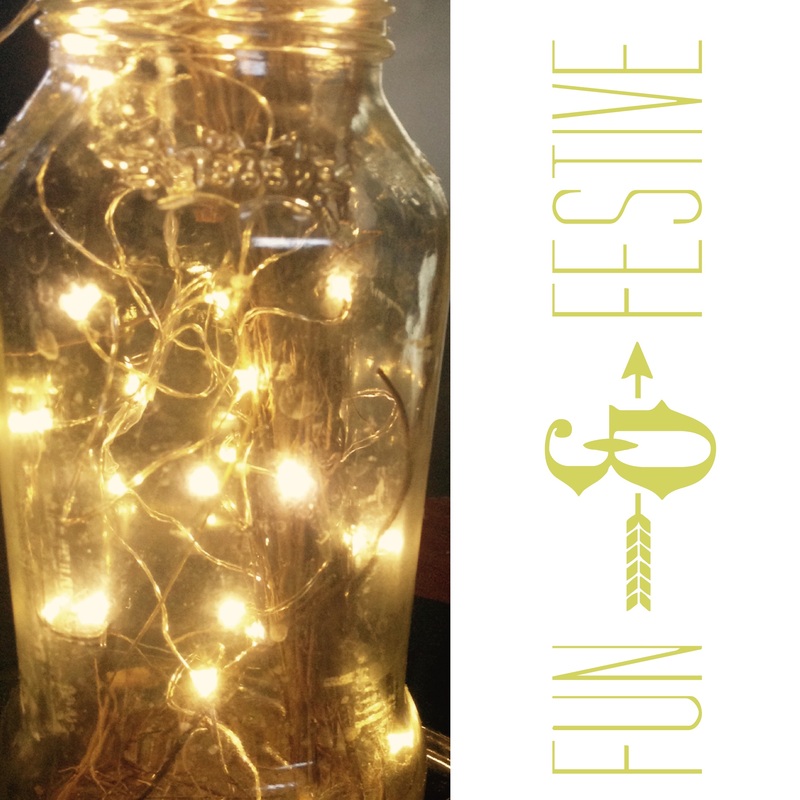 Simply, stuff some lights into a repurposed glass jar. What’s great too, batteries can be recycled at CostULess. Rainy day projects are always super fun!